Hire Certified ruby on rails Developers( RoR Developer) from Our Pool of Dedicated developers on the contract (time/project) basis. Our developers are certified and skilled in developing MVC frameworks on Ruby on Rails. Developers are highly skilled to develop UI components and view setup in web applications frameworks. Developer in Nimap are highly versed with all the version of rail 2.x, Rails 3.x, Rails 4.x, and Rails 5.x. for development of web applications.  Hiring RoR developers from Nimap help to add convergence of efficiency, functionality. Responsive UI/UX, app performance optimization and sheer excellence to your RoR applications. Why Hire Dedicated RoR Developers from Nimap Infotech? Sinatra is a free and open source software web application library and domain-specific language written in Ruby. Roda is an open source and lightweight framework used for developing applications. Crepe is a lightweight framework in ruby developed to help RoR developers to write clean code. Nancy is microframework for web development inspired in Sinatra and Cuba. CUBA Platform is an open source framework for the rapid development of enterprise applications with rich web interfaces. 1. What are step to hire RoR developer? 2. Why Hire Dedicated RoR developer?